While conventional generators produce one AC sine wave per engine rotation, Polaris inverter generators create over 300 AC sine waves per rotation. 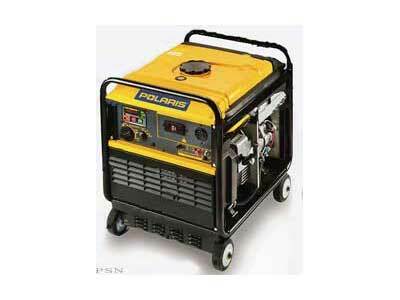 More waves mean more electrical power is produced by Polaris inverter generators. However, the power produced must first be changed to the form needed to power electrical appliances. First, the electrical power is converted to DC power. Then the DC power is inverted to output very clean 120-volt, 60 hz. AC power.